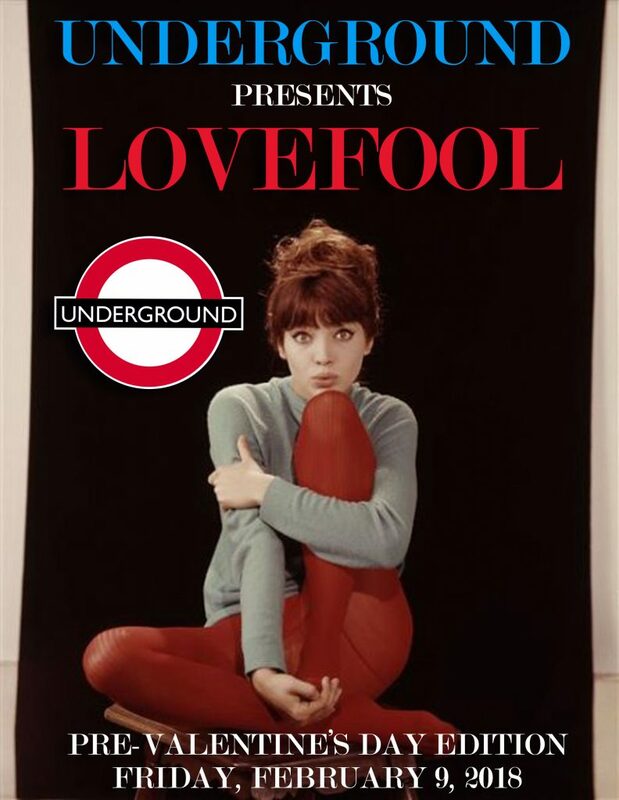 Club Underground presents, LOVEFOOL! Friday, February 9th join the UNDERGROUND for a Pre-Valentine’s Day mixer down at the Underground! As always THANK YOU for coming out and making our nights so much fun!! The best music anywhere along with the funnest & cutest crowd in town is found down at the Underground! Indie/New Wave Valentine Cards + special treats await down at the Underground!